The Draft EU Regulation on Conflict Minerals: “Smart Mix” or Missed Opportunity? It is a pleasure to welcome Dr Chiara Macchi as a guest poster on Rights as Usual. 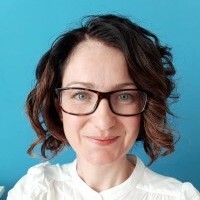 Dr Macchi is a post-doctoral researcher at the Sant’Anna School of Advanced Studies (Pisa, Italy) and project associate of the Essex Business and Human Rights Project. This post is hers. It is a shorter version of a paper she presented at the International Conference on Business and Human Rights in Sevilla which took place last week, and where I also presented. The first version of the EU draft Regulation on conflict minerals, published in March 2014, came as a disappointment to the many civil society actors that had advocated for strong EU rules, creating a non-binding opt-in self-certification system limited to the import of 3TG (tin, tantalum, tungsten and gold ores and concentrates). While one of the EU Commission’s stated aims was to complement Section 1502 of the US Dodd-Frank Act , which imposes legal obligations on the “downstream” section of the conflict minerals supply chain, the proposal created a crippled complementarity by establishing a purely voluntary scheme for EU “upstream” companies. EU institutions were split, with the Commission and Council favouring a soft approach and the European Parliament proposing, in May 2015, far-reaching amendments that would impose binding due diligence requirements on both upstream and downstream companies. A political understanding was reached on 20 June 2016 after a few months of “trilogue negotiations”. While a new version of the draft Regulation is not available yet (as its technical aspects are being finalized), one question that arises is whether the policy framework emerging from the trilogue, that combines mandatory and voluntary elements, is what the UN Guiding Principles on Business and Human Rights define as a “smart mix”, or whether, as maintained by critics, it constitutes a missed opportunity. Mandatory due diligence checks conducted according to the OECD Due Diligence Guidance are introduced for smelters, refiners and direct importers. However, EU manufacturers and sellers above 500 employees are only “encouraged” to report on their sourcing practices. (iv) it fails to create a level playing field among EU downstream companies, a stated aim of the Commission: while between 150 and 200 thousand EU-based companies are de facto required to conduct conflict minerals due diligence in order to retain their business relationships with US downstream clients, who are bound by the Dodd-Frank Act, the remaining EU downstream companies will continue to be addressees, at best, of non-binding recommendations under EU rules. The EU could and should amend the draft Regulation introducing an extensive definition of “importer”, encompassing, in line with the European Parliament 2015 proposal, not only direct importers of raw materials, but “all companies who first place covered resources, including products that contain those resources, on the Union market”. This would allow for mandatory due diligence checks to be extended to thousands of EU companies importing finished and semi-finished products containing 3TG. The Regulation is global in scope (unlike the Dodd-Frank Act), but the Commission, with help from external experts, will draw an indicative, non-exhaustive list of conflict-affected and high-risk areas. Although intended not to be exhaustive, this list risks being interpreted as such by companies bound by the Regulation. The 2014 draft Regulation targets imports from conflict-affected areas, as well as “areas witnessing weak or non-existent governance and security, such as failed states, and widespread and systematic violations of international law (…)”. Interpreting this definition narrowly, as limited to countries with a clear link between mining and conflict and to failed states associated with widespread or systematic violations of human rights, would leave outside of the Regulation’s scope countries that are not conflict-affected or failed, but in which, nonetheless, due to a “sector-specific” weak governance, documented links exist between grave human rights violations and minerals extraction (e.g. widespread child labour use in hazardous work in Ghana’s gold mining industry). The material scope is limited to the 3TG. This choice derives, on the one hand, from the Commission’s aim to complement the Dodd-Frank Act by targeting the same minerals and metals, and, on the other, from the draft Regulation’s reliance on the model supply chain policy contained in the Supplements to the OECD Due Diligence Guidance, which only specifically address the 3TG. This limitation is arguably not the biggest flaw in the draft Regulation – it may actually make implementation more realistic – but the EU should specify (similarly to what the Dodd-Frank Act does) whether and how the definition of conflict minerals leaves the door ajar to future expansion of the material scope. Many more minerals linked to conflict dynamics and serious abuses need heightened attention from the international community (e.g. rubies from Burma, lapis lazuli from Afghanistan, diamonds from the Central African Republic). The process of adoption of the final text should begin in the coming months, under the Slovak presidency, and the Regulation will enter into force after a transition period. The Commission declared in the political understanding that “it will consider making additional legislative proposals” targeted at downstream companies, should the adopted instrument fail to sufficiently leverage responsible corporate conduct. The draft EU policy has some positive aspects, including the provision of ex-post checks on importers and some important accompanying measures (e.g. public procurement conditionalities). However, its combination of voluntary and binding measures falls short of being a “smart mix”, as it has a low capacity to trigger virtuous dynamics in the supply chain. The EU, as matters stand, is missing an opportunity to use its market leverage to its full potential. Instead it could have sent out the message, in line with the principles of its external action and its human rights obligations, that the corporate responsibility to respect , the second pillar of the UN Guiding Principles, is not a matter of voluntary initiatives, but of legal compliance for all segments of the supply chain.